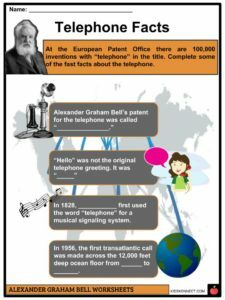 Alexander Graham Bell was a Scottish-born scientist, inventor, engineer, and innovator who is credited with patenting the first practical telephone. His research on hearing and speech further led him to experiment with hearing devices which eventually culminated in Bell being awarded the first U.S. patent for the telephone in 1876. 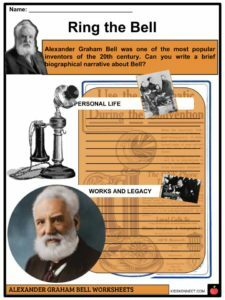 See the fact file below for more information on the Alexander Graham Bell or alternatively, you can download our 20-page Alexander Graham Bell worksheet pack to utilise within the classroom or home environment. 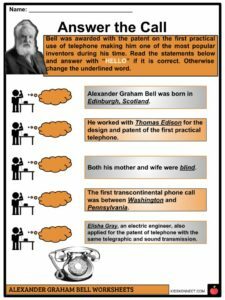 Alexander Graham Bell was born in Edinburgh, Scotland on March 3, 1847. He was an early entrepreneur/inventor. At as young as 12 years old, he invented a machine that could clean wheat. Bell initially studied anatomy and physiology at the University of London. His family eventually moved to Quebec, Canada in 1870. He was also known as an excellent piano player at a young age. His first interest was in the science of sound because both his mother and wife were deaf. This led Bell to study the human voice and begin to work with a number of deaf schools. This became one of his real focus areas and perhaps was the start of his path as an inventor. In 1872, Bell founded a school for the deaf which soon became part of Boston University. Throughout this time he invented techniques which helped in teaching speech to the deaf. After hiring an electrical designer assistant, Thomas Watson, they both began to study acoustic telegraphy. 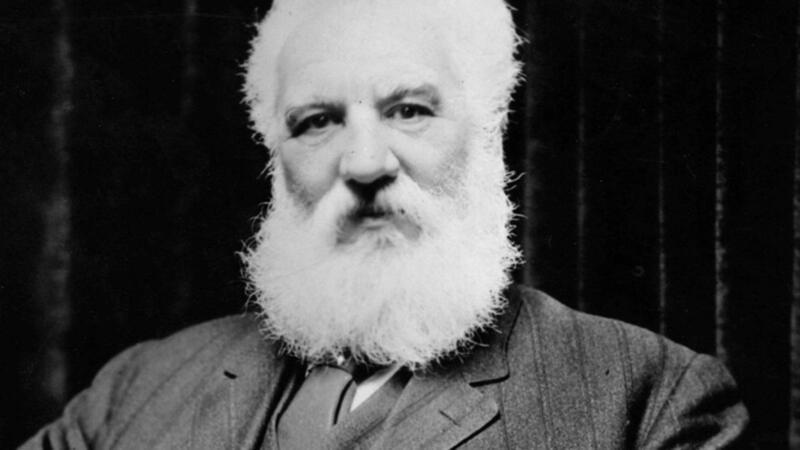 Alexander Graham Bell is best known for his invention of the telephone. The invention of the telephone came as a result of Thomas Watson trying to reactivate a telephone transmitter. After seeing this (or should we say hearing this), Bell believed he could send a human voice over a wire. Bell therefore submitted a patent request on February 14, 1876. This was for the transmission of sound telegraphically and was submitted to the U.S. Patent Office. Bell wasn’t the only one with the idea. 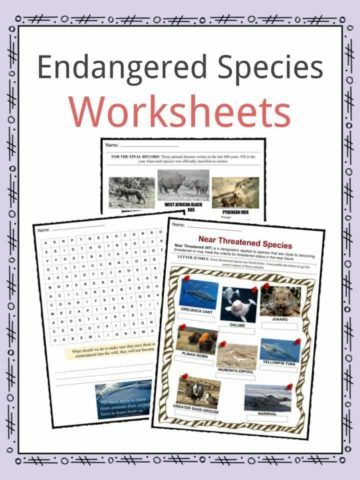 Remarkably at the same time an electrical engineer named Elisha Gray also submitted a patent covering the same telegraphic sound transmission. However, the patent was awarded to Bell. Gray’s invention was a water transmitter and days after Bell was awarded the patent he managed to get his telephone to work using very similar elements to that of Gray’s. There is continuing debate as to who had the idea first however the awarding of the patent to Bell allows most to agree it was Bell. Having received the patent he successfully transmitted human speech on the 10th March 1876. Thomas Watson, who was listening at the receiving end in another room, heard the words clearly. The Bell Telephone Company was created in 1877, and by 1886, more than 150,000 people in the U.S. owned telephones. It took some time for the first ceremonial transcontinental telephone call. This was in January 1915. Calling from New York, Bell was able to speak to his assistant Thomas Watson who was in San Francisco at the time. This was over a 3,400-mile wire. 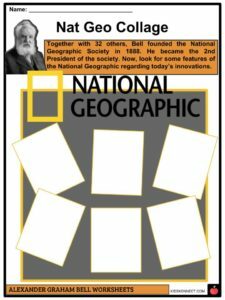 In 1898, Alexander Graham Bell and his son-in law took over the National Geographic Society. They continued to build the magazine and made it into one of the most important Geographic magazines in the world. His inventions did not stop at the telephone. Bell was also experimental in other areas of science. 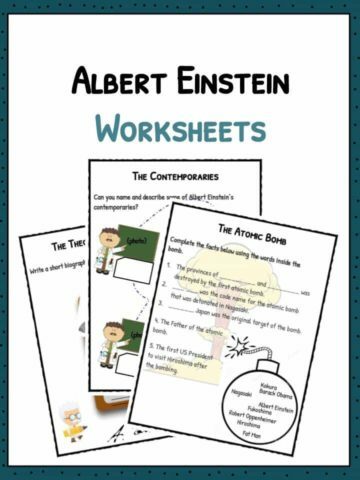 He also invented a metal detector, a device to help find icebergs, and an audiometer which is a device used to detect hearing problems. 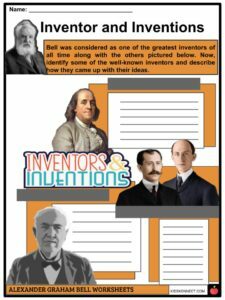 These were just some of Bell’s other inventions. Alexander Graham Bell was married to Mabel Gardiner Hubbard. She took the name Mabel Bell once married. She was a huge influence on his life and work, and was the first president of his company, the Bell Telephone Company. 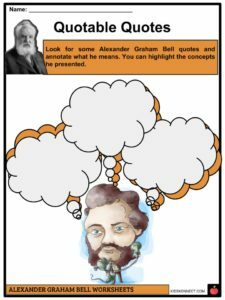 Alexander Graham Bell and Mabel had four children. 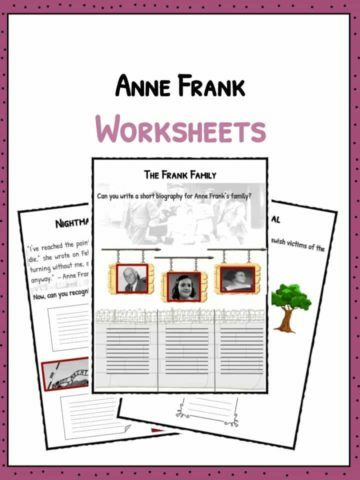 They were Robert Bell, Edward Bell, Marian Alexander Bell & Elsie Bell. He died on August 2, 1922 at the age of 75. 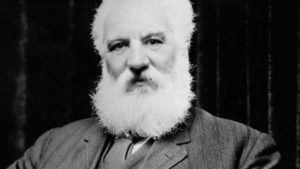 As a mark of respect for the death of Alexander Bell every phone in North America was silenced for a short period. 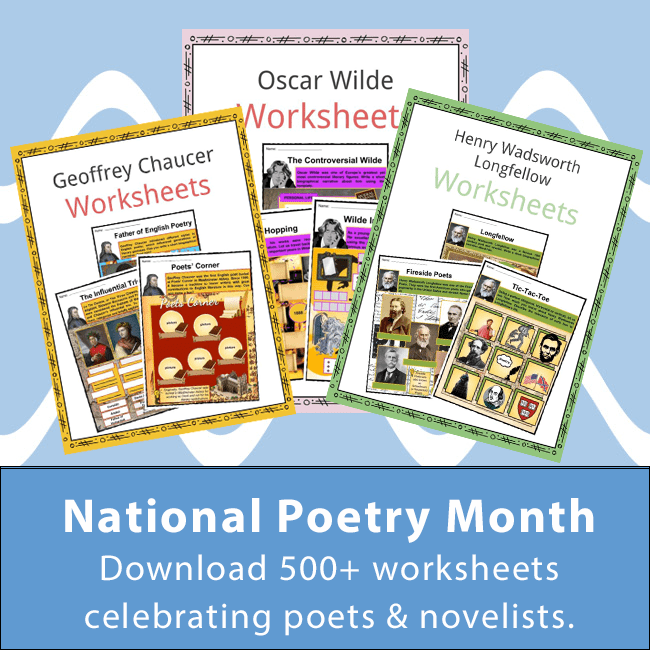 This is a fantastic bundle which includes everything you need to know about Alexander Graham Bell across 20 in-depth pages. 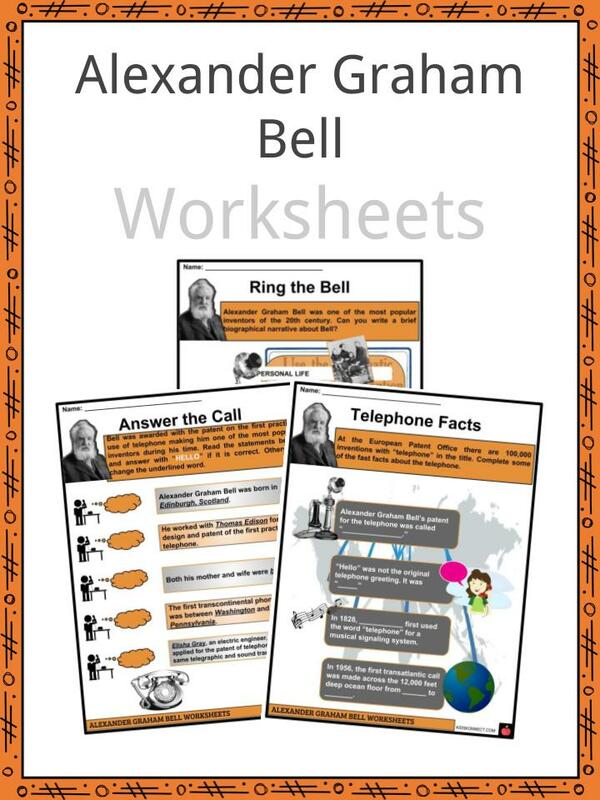 These are ready-to-use Alexander Graham Bell worksheets that are perfect for teaching students about Alexander Graham Bell who was a Scottish-born scientist, inventor, engineer, and innovator who is credited with patenting the first practical telephone. His research on hearing and speech further led him to experiment with hearing devices which eventually culminated in Bell being awarded the first U.S. patent for the telephone in 1876.